Dr. Murai: It was I who carried out the biopsies, but at the time when the liver needle biopsy specimen was taken, the patient's blood pressure rose up very high. And subsequently, when the wedge biopsy specimens were removed, the blood pressure was fluctuating. Dr. Takeda, do you have the hemodynamics records during the surgery? Dr. Takeda: Pheochromocytoma is usually diagnosed preoperatively, and it is known which blood catecholamine levels are elevated; antagonist drugs are used, and supplementary blood is given to compensate for hypovolemia, but with the patient in this controlled condition, even immediately before surgery, the blood pressure fluctuation is still very severe. In the present case, though, the diagnosis of pheochromocytoma was made during the operation. Examination of our data shows that the hemodynamics veered wildly from a blood pressure of 210/120 mmHg one moment to 80/ 75 mmHg a moment later. The heart rate was generally about 100 beats/min, although it rose to 140 beats/min during surgery. But this did not happen while we just stood idly by: we administered various antihypertensives and pressors, but the violent swings of blood pressure remained despite our actions. Incidentally, it may be of interest to you whether a brain-dead patient requires anesthesia. The standard procedure is to administer only muscle relaxants, but this patient was given a certain amount of inhalational anesthetic in an attempt to control blood pressure. Dr. Aikawa: When the diagnosis of brain death was made second time, this patient became a brain-dead person. 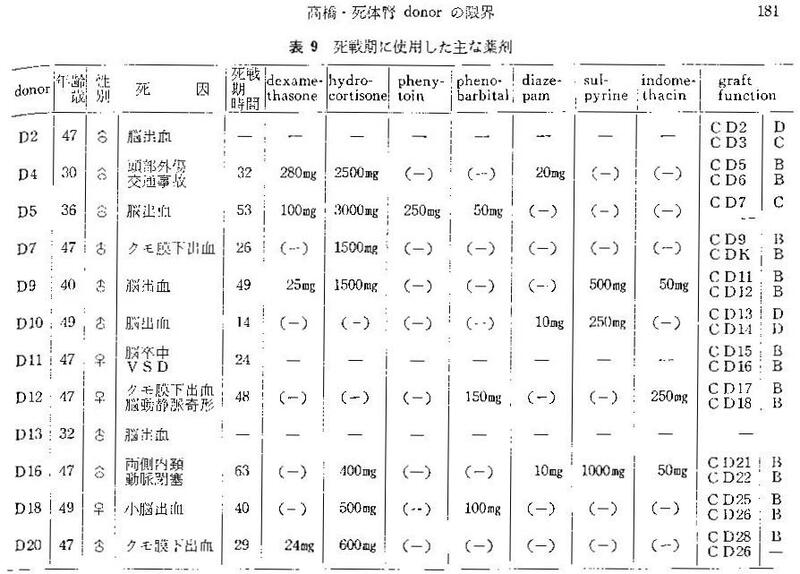 The conditions that were maintained until the organ extraction operation that followed and the management exercised during that procedure, were not called "anesthesia management", but it was "donor's respiratory and circulatory management", although some anesthetics were used. Are there any questions on what we've covered so far? According to a police interview with Jennifer Endsley, a nurse, the transplant team, including Dr. Roozrokh, stayed in the room during the removal of the ventilator and gave orders for medication, something that would violate donation protocol. Ms. Endsley, who stayed to watch because she had never participated in this type of procedure, also told the police that Dr. Roozrokh asked an intensive care nurse to administer more “candy” — meaning drugs — after Mr. Navarro did not die immediately after his ventilator was removed. Comfort care was given by the intensive care team and included sedation and analgesia typical for withdrawal of life support: fentanyl at a mean dose of 4 μg per kilogram and lorazepam at a mean dose of 0.1 mg per kilogram.